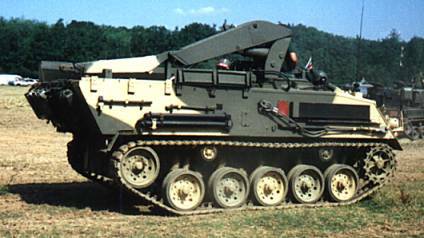 The FV434 is instantly recognisable by its crane jib. 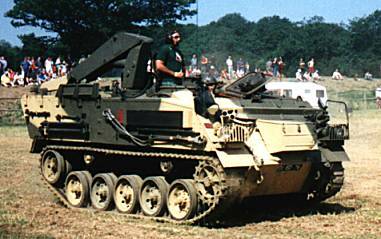 This vehicle has an open top compartment at the rear. 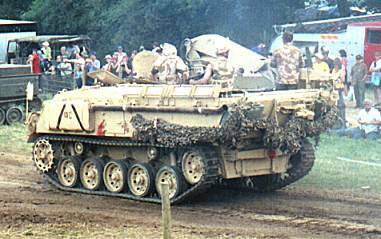 FV434 has been used for removing and transporting Chieftain engines and for general heavy engineering tasks. 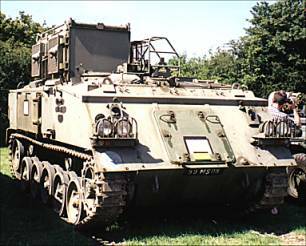 It is not intended as a recovery vehicle. 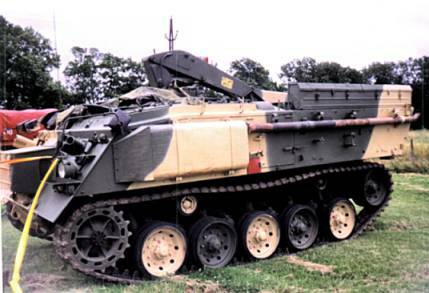 This is a modified FV432 mounting the Swingfire wire-guided anti-tank missile. 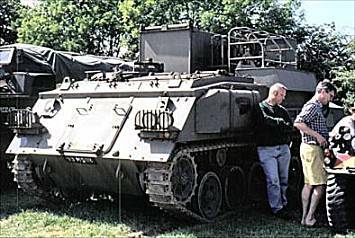 The missiles can be loaded from inside the vehicle, unlike FV102 Striker. 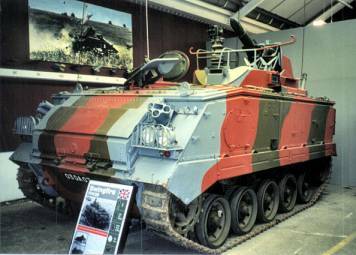 The vehicle shown in this picture is on display at Bovington. 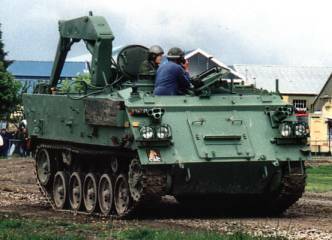 Ptarmigan is a mobile digital communication system interlinked by radio in such a way as to provide automatic re-routing in the event of interruption or breakdown of any part or parts of the system.